shopspaViolet is Serious Skin Care, Serious Fun: Too Sweaty ? No Sweat ! Too Sweaty ? No Sweat ! Sweating is normal. Sweating is natural. Sweating is healthy. It is an important function of our bodies, because it helps maintain body temperature by cooling us down. When we are hot we sweat, that sweat evaporates and cools us down. Sweating is like our body's own AC. When we are nervous we tend to sweat, you've probably noticed a connection between emotions and sweat glands. This is because sweat glands are controlled by the hypothalamus and tend to be primarily activated by emotional stimuli and stressors.
" People with hyperhidrosis have hyperactive sweat glands, so those sweat glands are in the 'on' position continuously, resulting in excessive sweating," says Raleigh, NC plastic surgeon Cynthia Diehl, MD. " Normally the body sends signals to sweat in order to cool off. Hyperactive sweat glands are not responding to those normal signals, leading to constant sweating." We actually have 2 different types of sweat glands- eccrine and apocrine glands. Eccrine glands are designed to purely cool off the body, while apocrine glands secrete stress sweat. Apocrine glands are on feet, groins and armpits and unlike eccrine glands secrete sweat with an added protein molecule. And believe it or not sweat doesn't smell. It only starts to stink when bacteria under arms eats that protein. Our bodies produce mostly this type when we are stressed. Our PiperWai deodorant creates a balanced pH environment where stinky bacteria cannot survive and therefore helps render sweat odorless. It doesn't cover up the odor it neutralizes the odor. 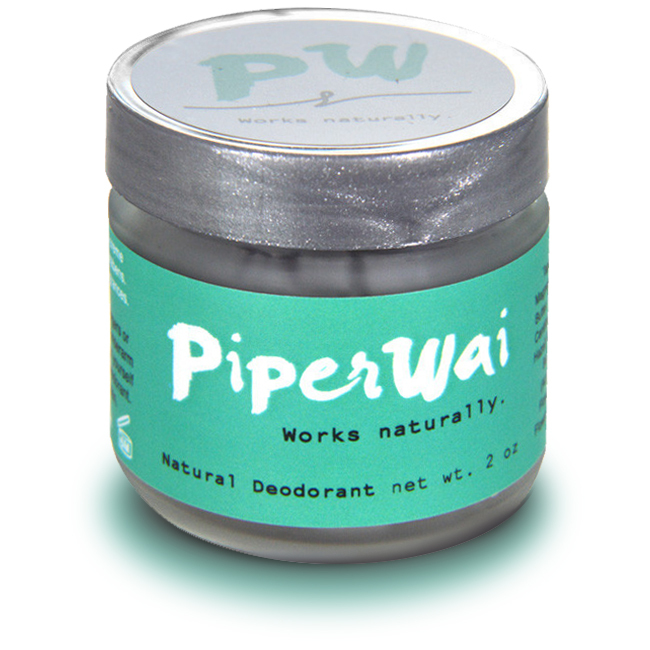 Why, because PiperWai uses a medicinal grade activated charcoal that is ULTRA absorbent. The charcoal absorbs odor, moisture and toxins. So whether you are a normal "Sweaterer" or a "Super Sweaterer" , in lieu of clinical strength antiperspirants or antiperspirants and deodorants chock full of strange chemicals, give PiperWai a try. "No detox period necessary." Chuck The Day Creams For The Night Creams ?